If you are forming a business and are looking for resources, funding, or even to establish a particular business identity (i.e., woman-owned business or minority-owned business) to gain an advantage, you need to understand the basic definition of qualifying individuals under the Small Business Act. Socially disadvantaged individuals are those who have been subjected to racial or ethnic prejudice or cultural bias because of their identity as a member of a group without regard to their individual qualities. Economically disadvantaged individuals are those socially disadvantaged individuals whose ability to compete in the free enterprise system has been impaired due to diminished capital and credit opportunities as compared to others in the same business area who are not socially disadvantaged. In determining the degree of diminished credit and capital opportunities the Administration shall consider, but not be limited to, the assets and net worth of such socially disadvantaged individual. This coverage extends only to socially and economically disadvantaged citizens of the United States, or those who have been lawfully admitted permanent U.S. residency. Women are presumed to be included under the act because of the social and, therefore, economic disadvantages they frequently encounter. However, additional definitions of 'woman-owned' provide for their own requirements. For example, a woman-owned business must be majority owned and/or operated by women. Additional information about the Small Business Administration's requirements for a business/business owner being regarded as economically disadvantaged is on the SBA's website. It is also important to remember that, although the Small Business Administration does adhere to the SBA definitions, they still require all applicants to prove that they meet the definition. In other words, being a woman, or person of color, does not entirely prove an economic disadvantage, so be prepared to offer financial data as well as general information about your business. 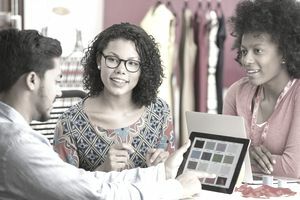 If you have great connections and resources, you may think identifying as a woman-owned business (WOB) or minority-owned business (MOB) is not essential. However, before you write off seeking resources, associations, programs, or certifications, you should know that merely being an officially recognized WOB or MOB has its advantages. The designation may help you qualify for government contracts (federal, state, and even local municipalities) that you would otherwise have a more challenging time qualifying for simply because the majority of government contracts still go to male-owned business.